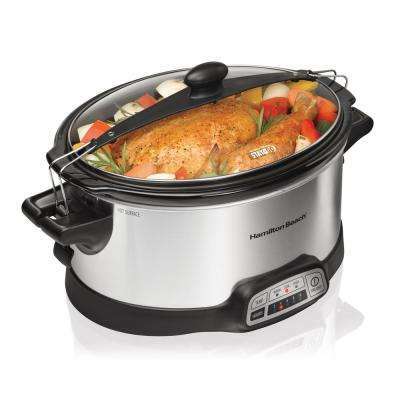 Save time and create a one-pot meal with a slow cooker. 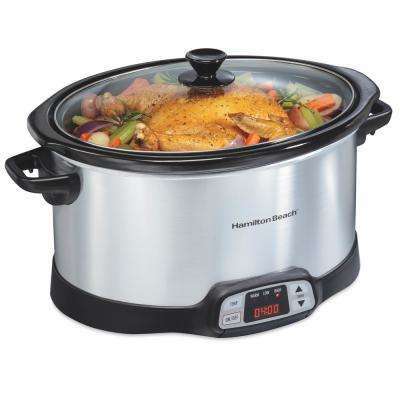 Hamilton Beach slow cookers include a range of convenient features, such as temperature probes and levels of programmability, and also come in a variety of sizes depending on your needs. 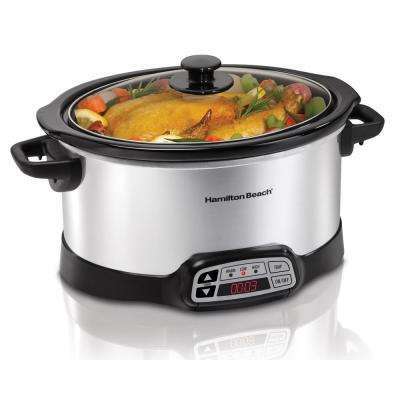 With Hamilton Beach programmable slow cookers you can set cooking times from 30 minutes up to 18 hours. 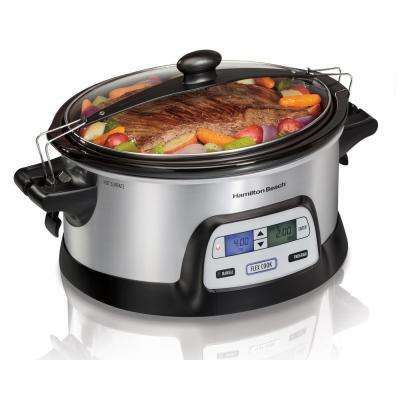 Choose a model with a built-in thermometer if you’re cooking meat to ensure food safety. 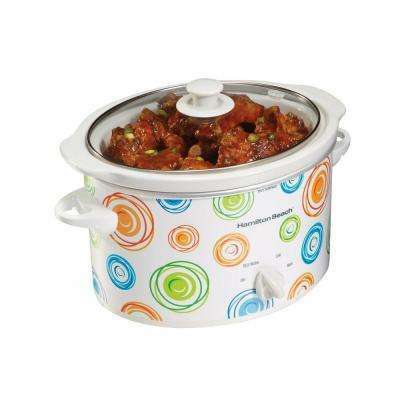 For potluck meals, look for a portable cooker equipped with handles and an attached serving spoon. 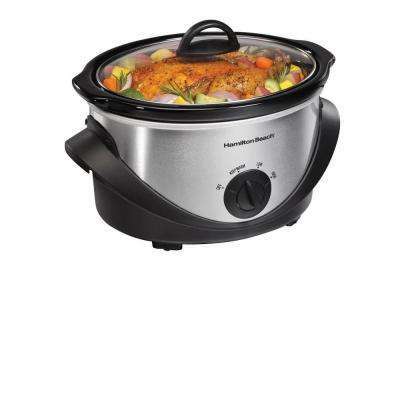 Portable slow cookers come with clip-tight lids that help prevent spills. 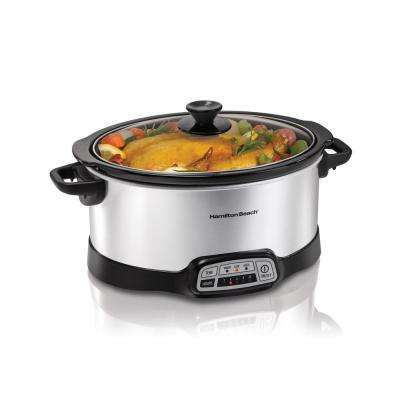 Slow cookers range from 3 to 8 quarts. 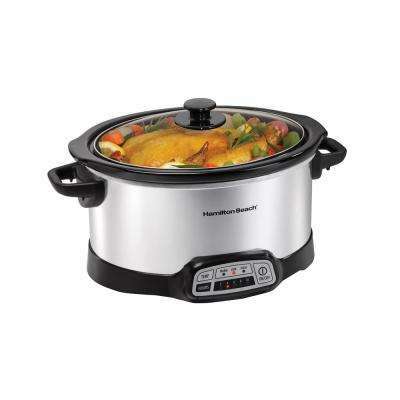 A Hamilton Beach 6-quart slow cooker is a great choice for average-size meals. 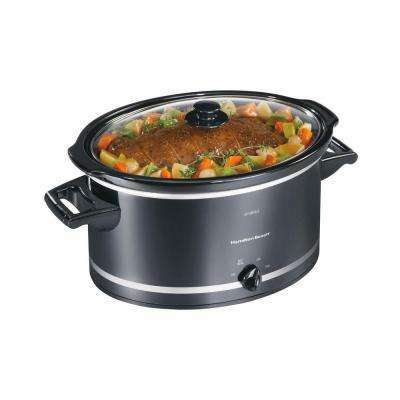 ● Comfort Food. 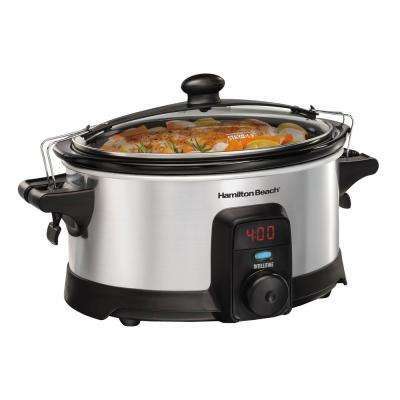 While we generally associate slow cookers with hearty, warm meals like soups, stews and chilis, Hamilton Beach set-and-forget slow cookers also are perfect for breakfast foods, desserts and pastas. ● Party Appetizers. Cook everything from ribs to queso dip for your next get-together. 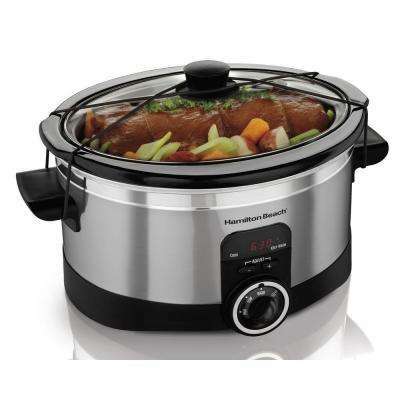 Smaller slow cooker models transport more easily to parties. ● Beverages. Keep warm drinks ready to sip all evening. 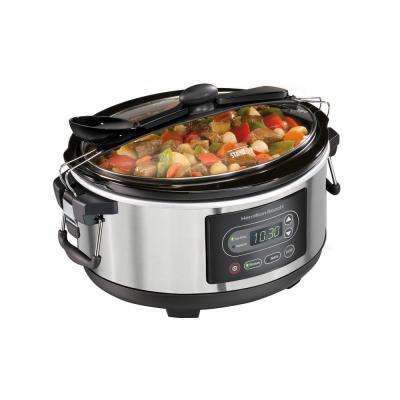 Whether it’s spiced cider, wassail or coffee, you can use your slow cooker to heat beverages evenly. 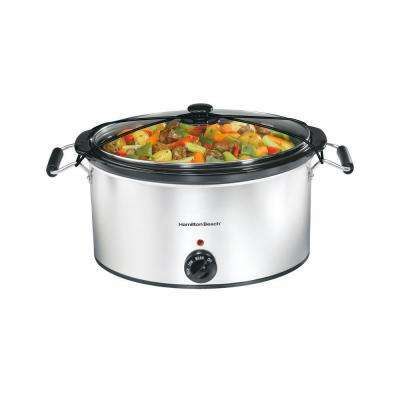 Slow cookers come in sleek, stainless steel designs and are easy to clean. 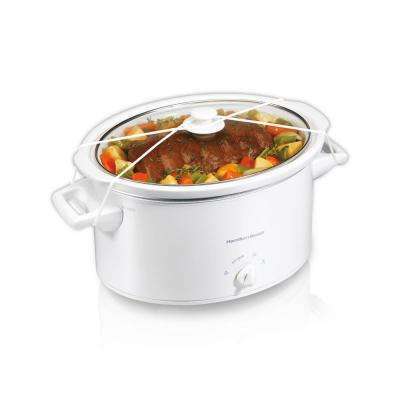 Simply remove the inside crock and place it in the dishwasher.